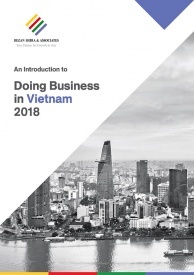 According to the 2017 Nation Brands report by Brand Finance, Vietnam is the fifth fastest growing nation brand in 2017 amongst 100 economies, growing by 43 percent since last year. Brand Finance is an independent branded business valuation and strategy consultancy. The nation brand of Vietnam was valued at US$ 203 billion and was ranked 45th amongst 100 economies, a jump of five places from 2016. In the last few years, it has been noted that a strong nation brand leads to an increase in investments, adds value to exports, attracts tourists and skilled workers. This report measures the strength and value of the nation brands utilizing a method based on royalty relief mechanism, which is frequently used to evaluate global firms. In this, the value of a brand is determined by the level of royalty that a company can charge for the use of their brand. However, in this country report, the key pillars on which the countries are ranked are Goods & Services, Investment, and Society, with further sub-indicators such as Tourism, Market, Governance, and People & Skills. Each metrics contribute towards a Brand Strength Index (BSI) score and a rating ranging from AAA+ to D, similar to a credit rating. In South East Asia, Vietnam ranks sixth amongst the top seven ASEAN economies, only ahead of Myanmar. Cambodia, Laos, and Brunei are not amongst the top 100 economies. Indonesia leads the ASEAN rankings, followed by Malaysia, Thailand, Philippines, and Singapore respectively. Three ASEAN countries feature in the top ten fastest growing nation brands. Vietnam, Philippines, and Thailand were ranked 5th, 9th, and 10th respectively, growing by 43 percent, 38 percent, and 37 percent respectively. Two major sectors highlighted in the report were the food and apparel industry. The processed food industry contributed over US$ 17 billion to the country’s exports, while the apparel sector accounted for over US$ 22 billion of its exports. Both sectors have seen considerable growth, due to the continuous policy reforms initiated by the government. In terms of FDI, the first nine months of 2017 has seen a growth of 13.4 percent with respect to the same period last year, with total FDI reaching US$ 12.5 billion. Knowing the importance of brand development early on, the Vietnamese government had launched a National Brand Program in 2003 to promote the country’s image through branded domestic products and services. According to the 2016 Brand Finance Top 50 Vietnam Brands report, Vinamilk was the most valuable brand in the country followed by Viettel, PetroVietnam, Mobifone, VinHomes, Sabeco, Masan, FPT, Vinaphone, and VietinBank. The VinGroup has five brands in the 50 most valuable brands in Vietnam. Most of the brands are from the telecommunications, food & beverage, and banking sectors. Foreign investors seeking to enter the Vietnamese market have been increasingly routing their investments through Mergers & Acquisitions (M&A) activities to expand their businesses and gain a foothold in the domestic market. M&A deals in Vietnam hit an all-time record of US$ 5.8 billion in 2016. Although it accounted for only five percent of the total M&A deals in South East Asia, it has grown by 11.92 percent compared to 2015. Foreign firms involved in M&A activities are motivated by the growing production capacity and export potential of the country, driven by an increasing number of FTAs. Majority of the investments are in domestic brands belonging to state-owned enterprises and are mostly in the form of share acquisitions, rather than assets. Siam Cement (SCC), the second largest cement company in Thailand has spent US$ 524 million in buying 65 percent of LafargeHolcim Vietnam. Singapore based Fraser & Neave Ltd spent US$ 500 million on purchasing nearly 80 million shares of Vinamilk, 5.4 percent of the dairy firm’s stakes. With this purchase, it increased its holdings to 16.35 percent and became the second largest stakeholder, following Vietnam’s State Capital Investment Corporation (SCIC) with 39.33 percent. British insurance firm Aviva acquired a 50 percent stake in domestic insurance firm Vietinbank Aviva from Vietnam Joint Stock Commercial Bank for Industry and Trade (Vietinbank). KKR invested US$ 250-million in Masan Group, one the top three largest private sector companies in Vietnam in terms of market capitalization and in its meat platform Masan Nutri-Science. M&A activities are expected to grow further, driven by divestments in state-owned enterprises (SOE), which is a big opportunity for domestic as well as foreign investors. Equitisation of various SOEs such as Vissan and Vietnam Airlines were the major divestments last year. Other firms in the pipeline with further divestments planned include Vinamilk, Sabeco, Habeco, PV Power, Vinafood, PV Oil, IDICO, and Genco (under the Vietnam Electricity Corporation). Future M&A deals in Vietnam are expected to be mostly in the consumer goods, financial services, telecommunications, and energy sector, with insurance firms, banks, and consumer finance companies predicted to have the highest growth potential. 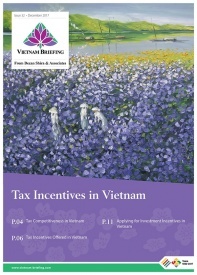 Vietnam Briefing is produced by Dezan Shira & Associates. The firm assists foreign investors throughout Asia and maintains offices in China, Hong Kong, Indonesia, Singapore, Vietnam, and Russia. Please contact vietnam@dezshira.com or visit our website at www.dezshira.com.